Welcome to Day 4 of our 12 Days of Children’s Books Gala Giveaway. I’m part of an amazing group of writer friends who specialize in writing engaging nonfiction for kids. We’re the Nonfiction Ninjas! Today my book is the featured giveaway! You can to learn a little bit more about me and the journey I took to write this book. What makes Frederick Douglass so important to kids today? Frederick Douglass believed that one person can make a difference. And he did. Through his brave efforts, he helped bring an end to slavery in America. A true hero, he’s an outstanding role model for everyone—kids and adults alike. What happened along the journey to write this book? I took a photo-research trip and walked in Douglass’s footsteps. From finding the area in the woods where the cabin once stood when he was born, to driving up to see the Great House on the plantation where he first worked in slavery, to touring his home near Washington D.C. when he worked as a free man at our nation’s capital, it was a journey I will never forget. Many of my photos are featured in this book and help bring his biography to life. Teachers, educators, and librarians of upper elementary, middle-grade, and high school students. Parents and kids alike. Anyone interested in African-American achievements as well as the history of Lincoln or the Civil War. I hope you enjoyed learning more about the “story behind the story”! Hey everyone. Hop on board and join the fun!!!! You can enter your name once today for a chance to win a free copy of today’s featured book! All it takes is 2 easy steps. Post a comment here on my blog. I’d especially love to hear about YOUR favorite role model and person who has truly made a difference in your heart like Frederick Douglass has for me. 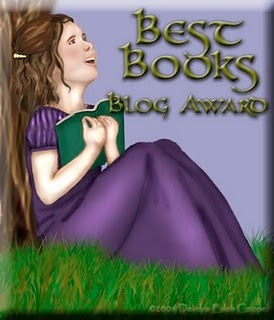 Be sure to stop back here on my blog tomorrow for Day 5 of our Gala Giveaway. You can enter your name for a chance to win our next featured children’s book. We’re giving away 11 amazing children’s books during our Gala Giveaway. And on Day 12, we’ll announce the winners, here on my blog. I hope you’ll be one of them! But hey…why wait until the giveaway is over to get your hands on this children’s book? It’s great for holiday or birthday giving. It’s perfect for the classroom or to donate to your local library. And your kids or grandkids can learn about these inspiring stories. You can buy it today on Amazon or at your favorite online bookstores! When I worked in Annapolis, I had the pleasure of visiting the Frederick Douglass museum. T was fascinating and inspiring. My personal role model is Mina Fleming, a human computer who worked at the Harvard Observatory. I made a special trip to Boston and dragged my husband along so I could read her papers. I can’t wait to see who else people are fascinated and inspired by! That’s so great you got to visit the museum. And thanks for sharing about Mina. I’m going to look her up right away! Researching him must have been moving, getting to walk in his footsteps. Thanks for sharing. Yes, it was such a life changer for me! What a perfect book when we’re looking for role models. Thx, Susie. It was so inspiring to write. Thanks for sharing this part of your journey. I am fascinated with a number of women who braved the Nazis in concentration camps. I am developing one of those stories. Thx for sharing. I’m so glad you’re going to share the stories that inspire you with kids. Interesting post, Nancy, thank you. I love that you walked where he walked and all the research you did for this book. Today, more than ever, we all need good role models and mentors, we and our children. Yes, every generation can benefit from following in the footsteps of someone who truly makes a difference. Sara, so glad you’re going to learn more about one of my favorite heroes of all time! You’ll be blessed!! !